Note from Amanda: I am so thrilled to share this story submitted by a reader who wishes to remain anonymous. 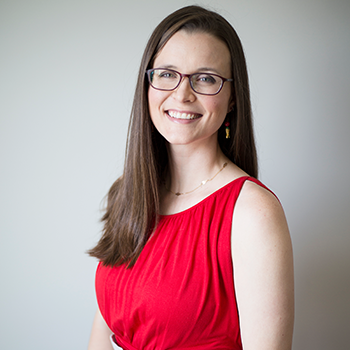 She is a wonderfully brave and honest mama who is sharing her story with you today about her experience with postpartum depression and how she used natural, non-drug methods (with a special emphasis on food) to help herself. This is a very powerful story and I hope you find her suggestions helpful! As always, please remember that the information on this site is for informational purposes only and is not to be misconstrued as medical advice. If you are concerned about postpartum depression, seek the advice of a qualified medical professional (I recommend an acupuncturist or functional medicine MD). Anxiety and depression have always lurked in the background in my life – it runs in my family and nearly all of us have dealt with it at one time or another. As a kid, I used to constantly complain about stomachaches because I would feel so stressed out with things like tests, homework, sports, and friendship drama. 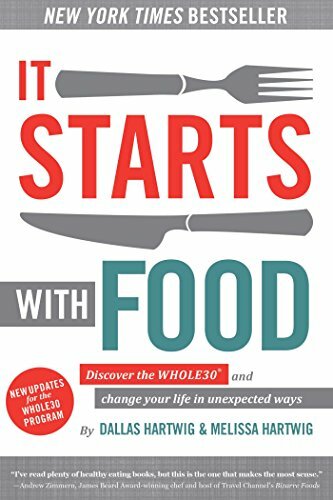 When I entered my late teens/early 20’s and was out on my own for the first time, I started eating loads of junk food – lots of sugar, pop, candy, chips, and fast food and gained 60+ pounds very quickly as a side effect of all the junk, not to mention the hormonal birth control I was also taking and dealing with the emotional impact of being the victim of a sexual assault when I was 19. From 2001 to 2009, I tried various diets and weight loss strategies – Weight Watchers, calorie counting, working out excessively – but most of all, I just binged and restricted. I would lose weight for a while, but then I would binge and all the original weight I lost would come back, plus more each time. I felt like there must be something very wrong with me – everyone said that moderation is what works! I couldn’t figure out why it wouldn’t work for me. I assumed I just wasn’t trying hard enough since trying to “moderate” my food intake (not cutting out any one food, just using “portion control”) resulted in a binge every.single.time. I tried exercising more, weighing and measuring all of my food (what a fun time that was…), and nothing worked for more than a couple of months before I broke. I had resigned myself to being fat, sick, and unhealthy. Fast forward to 2010. At the time, I was working in a very stressful job, usually around 55+ hours per week. I ate mostly convenience foods and foods with a lot of sugar to keep me going, like cheese and crackers, cereal, sandwiches, caffeine-free Diet Coke, pasta, bakery items, candy, and basically anything I could eat at my desk at work. My husband and I would go out for dinner a lot of nights or grab take-out because we both worked so much and were so tired at the end of the day – the last thing either of us wanted to do was cook. Especially when “healthy food” wasn’t so appealing: a dry chicken breast, steamed broccoli, and brown rice - all cooked with very minimal fat, of course. I was on Prilosec (but still had to eat Tums like it was candy), had a constant stomachache, was always bloated and felt “full” but still inexplicably hungry, and cycled between constipation and diarrhea constantly. However, one of the worst things happening in my body was my level of anxiety. Almost every night, I had dreams that centered on someone trying to hurt or kill me, my husband, or my family. They were incredibly graphic, bloody, and horrifying. Of course, this just meant the small amount of hours I was trying to sleep were not exactly restful – which made my health situation even worse. I was at a place that I believe a lot of people, especially women, are: sick, exhausted, and stressed out; but without any real information or resources to change my life or health. It was during this time that I got pregnant with my first son. I had moderate, but manageable morning sickness and food aversions for about the first 17 weeks, so I ate mostly bland foods like cereal or toast, and sweet foods like chocolate milk. After that passed, I was still so busy at work that I didn’t take any time to eat well, aside from avoiding obvious offenders like alcohol and caffeine. My doctor was never concerned about my diet – she never asked for a food log or any detail on my meals. I was gaining the right amount of weight, so it never came up, even though I was heavy to begin with. When I was 36 weeks pregnant, we found out that I had developed a liver complication called Cholestasis of Pregnancy that could cause a stillbirth. I was induced within a couple of days, and thankfully my son was healthy and I resumed a normal life, complete with cruddy food, even though I was exclusively breastfeeding. When my son was 8 months old, we lost our daycare and we decided to jump into being a one-income household. Overnight, I went from someone who spent the majority of time either at work or bringing work home with me to a stay at home mom. Within 2-3 months of being home with my son, the novelty had worn off. I continued to eat the way I had been eating, even though I had time to make meals now since I was home. All of the sudden I was irritable and angry all the time. At everyone. For everything. I was having more nightmares than ever, but now I was also having very ugly intrusive thoughts throughout the day (What if this bridge I’m driving over caves in - how will I get my son out of his car seat in time? What if I fall down while I’m carrying him? What if he stopped breathing in his crib and I didn’t realize it?). They would flood my brain and there was no way to stop them. It was as if I was watching a movie in my head of these things actually happening. So, after discussing it with my husband, I did what any sane person would do: I went to the doctor for help. Well. Saying that it was an unproductive visit would be an understatement. The end result of the visit was the doctor telling me that I “wasn’t cut out to be a stay at home mom”. There was no mention of food choices, lifestyle changes, nothing. She did offer an anti-depressant, but I really didn’t want to since I was breastfeeding. Instead, I went home, did some research, and decided to try SAM-e (I used Jarrow's). I had read about it having the ability to help with mood, and the nurse line at my clinic said it was fine for breastfeeding, so I gave it a try. It took a few weeks, but it seemed to take the edge off and get me back to a decent place. While I was waiting to see if the SAM-e would work, I stumbled across Marks Daily Apple online. 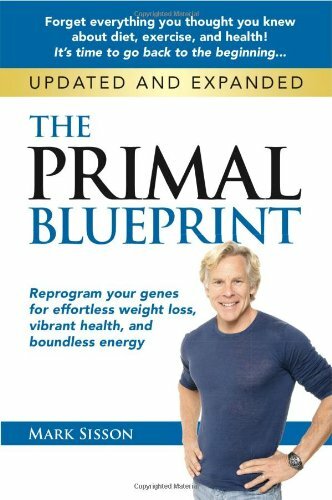 I read The Primal Blueprint, and it made so much sense to me. However, conventional wisdom was still firmly entrenched in me, and life was busy with caring for a baby and moving to a new town, so I set it aside and didn’t make any dietary changes. Around September 2012 I got pregnant with my second son. I was sick before I could even take a pregnancy test to confirm that I was indeed pregnant. I knew that wasn’t a great sign. If I was awake, I was sick. I was vomiting upwards of 10 times a day (even if there was nothing in my stomach to come up), and I was put on Zofran by my 7th week of pregnancy. The only foods that I could somewhat keep down were a certain type of thin crust pizza, toast with peanut butter, and chocolate milk. Healthy, huh? But, my doctor assured me that it was fine and that the baby would “take whatever nutrients it needed” from my body. At the time, I was so incredibly sick that I didn’t question it – my focus was solely on getting through the day with a very active toddler at home. I did end up in the hospital once for dehydration because it was so horrible that I couldn’t even keep any liquids down at one point. By the time my 7th month rolled around, I was feeling ok as long as I stayed on the Zofran. I still couldn’t handle many different foods, but at least I was only throwing up a few times a week instead of 10+ times every single day. I gave birth in May of 2013 at our home, and it was fast and easy (as easy as labor can be anyway), and the most incredible birth experience I could have asked for. For the first month or two after birth I felt good, albeit really tired with a newborn and a toddler who was not a great sleeper at night. But then things started to change. It was subtle at first – my temper got a little shorter, I was less able to handle the noise and chaos of two kids. I started getting annoyed at my husband for small things. I was still having really bad heartburn, even with the Prilosec and Tums, and my digestion constantly swung from constipation to diarrhea and back again. I began to get restless legs every night, which made it even harder to fall asleep, or to sit and nurse my son. I also began to have horrible night sweats – I would wake up absolutely drenched in sweat and have to change my pajamas and my sheets. My nightmares and daytime intrusive thoughts came back in full force, and that was awful and painful and scary. I began to question my ability to take care of my kids. Logically, I knew that I was capable, but the feeling that I must not be normal really chipped away at my self-esteem. My anger got worse and worse, and pretty soon I was unable to feel anything other than anger or apathy. That was one of the worst things – the apathy. It was as if I lost the ability to feel that love and connection to my kids (or anyone). It was odd, because although I couldn’t feel any happiness about hearing the boys laugh, or play, or do any of those incredibly beautiful, sweet things – I still felt a very primal connection, deep down in my soul. For that I am incredibly thankful. Logically I knew that I loved them and I was still incredible protective of them, but I just could not FEEL the emotion of love. I can’t put into words how horrible that felt. Even hearing my older son laugh loudly would grate on my nerves so bad that I just wanted to plug my ears and scream…and I felt like the world’s worst parent. There were times when I really felt that they would be better off without me. They deserved so much more than who I was at that time. I didn’t want to say anything about what a hard time I was having, because I didn’t want to be judged by my family or scare my husband. I didn’t know if my kids would be taken away from me, and that was the worst thought of all. So I kept it inside. I tried taking SAM-e like I had done with my first experience with postpartum depression and anxiety, but it didn’t seem to help at all this time. Then, on a whim, I decided to do a Whole30. I had been reading different paleo blogs for a while off and on, and I thought it was finally time to give it a try. That month changed my entire life. My anxiety vanished – I stopped having intrusive thoughts during the day and nightmares at night! I started having glimpses of that feeling of happy love for my kids again. However, mentally I still wasn’t ready to change permanently, so I went back to my “regular” diet afterwards…and saw all my symptoms come back. The digestive symptoms are bad enough, but realizing that FOOD was affecting my mental state was both scary and liberating all at once. After realizing the effect that food had on my body and mind, I started reading more and more, and saw that my symptoms matched those of lactose intolerance and gluten intolerance. I really wanted to know about gluten (I was scared of the implication of a higher risk of cancer, etc. if you are a Celiac and continue to eat gluten), so I pushed my doctor to do a blood test for Celiac Disease. It came back with a high positive. The doctor wanted me to do an endoscopy to confirm, but I decided not to since it was such an invasive, expensive test and I figured – what does it matter when the blood test already confirms it and I have already done a food experiment for myself and KNOW how it affects me? Gluten-Free Diet - Is it enough? From that point forward I have been 100% gluten free. It was a huge change and was so, so hard. After giving up this one major food (gluten) that I had been so used to eating for so long, I couldn’t give up everything else too. So I ate gluten-free versions of my favorite foods - also known as gluten-free junk food. Not surprisingly, I still didn’t feel that great. As long as I was still eating gluten free grains, sugar, and dairy, I still felt bad. The anxiety, intrusive thoughts, anger, apathy, restless legs, digestion problems, and heartburn stayed as long as I kept those items in my diet. 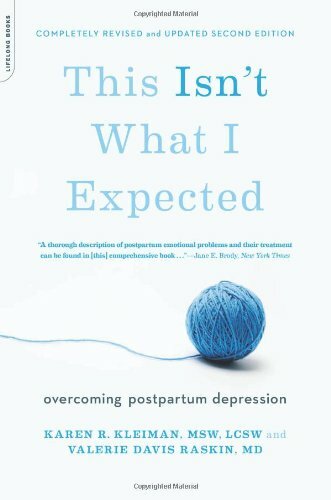 Unfortunately, I still wasn’t in a strong enough mental place to be able to really accept the correlation between my Postpartum Anxiety (PPA)/Postpartum Depression (PPD) and those foods. Then one day when my youngest son was about a year old, I reached my breaking point. I just could not do it anymore, so I made an appointment with my new OB/GYN. I got about 7 minutes with her. Her solution was to take this drug, Effexor. I had never heard of it, so I asked her what the side effects were and if there was any risk to me or my son, since I was exclusively breastfeeding him. She skirted the issue – she just said “well, I don’t think you really have a choice right now”. To her credit, I do understand that I was in a very bad place, and she is qualified to give prescriptions, so that’s what she did. However, there was no talk at all about dietary or lifestyle changes. Regardless, I left her office, prescription in hand, tentatively hopeful. I drove directly from the doctor to pick up my prescription from the pharmacy, and the pharmacist started going over how to take it and possible side effects. Frankly, it sounded terrifying. He said that it is imperative to take it at exactly the same time every single day because your body can go into withdrawal extremely easily with this drug. He also said that one of the side effects was feeling like you were getting electrocuted. Fun, right? In light of this, I told him that I was nursing my baby, and he hesitated. That hesitation spoke volumes to me, and I knew I could not take it, so I went home to research my options. After a day of Googling, I decided to see if a Naturopathic Doctor could help me, since I really didn’t feel comfortable taking any drugs, especially not the Effexor that was prescribed to me. I got an appointment, but since it was over 4 weeks away and I needed help now, I decided to try St. Johns Wort (I used a standardized version with 0.3% hypericin). I got the OK on dosage from the Naturopath over the phone, and tried it. It took about 2-3 weeks to build up in my system, but once it did I really felt the edge come off of my anger. I still was nowhere near back to normal, but it was enough to make me feel functional. I found and started seeing a wonderful therapist, which was one of the best things I did for myself and my family. I still see her off and on when life gets stressful. The combination of being gluten free, the St. Johns Wort, and therapy gave me the ability to try to tackle my diet as a whole. I very slowly started phasing out the worst offenders – candy, gluten free grains, and dairy. It has been about a year since I started therapy, started trying to really change my diet, and really started healing. It has been a long process with a LOT of setbacks – there have definitely been weeks or even a couple months here or there where I was dealing with other issues and let food slide. However, there is an upside to having fallen off the wagon so many times in the past year: since I have kept meticulous records as far as food/stress/symptoms, I can look at it and see an incredibly clear pattern of what effect different foods have on me. I know it’s not a coincidence that I feel badly once I eat sugar, grains, or dairy. I can very clearly see that they make me anxious, depressed, and sick. Then after a week or two of cutting them out completely, I feel like “me” again. It’s a blessing to be able to really know how foods affect me – for instance, I know that honey doesn’t affect me like white sugar does – it doesn’t seem to do anything to me. I know that rice flour makes me break out in a red, itchy rash all over. I know that sugar gives me a headache, depression, anxiety, and makes me literally feel like I’ve gone crazy. While I do still have a long ways to go on my healing journey, for the first time, I feel like I can actually do it. Before, one bad day would send me back into a depression. One bad food choice would send me into a binge. Now, I’m able to think about all of the successes I’ve had up to this point and keep moving forward. 1. Doctors don’t always know best. Most don’t have any training or a real clue about nutrition at all. Read everything you can, and be willing to step outside of conventional wisdom and conventional medicine. Antidepressants can be a good and needed option for some people, but they’re not the *only* option. There are many worthwhile treatment modalities to try: talk therapy, meditation, exercise, dietary changes, homeopathy, Chinese medicine, acupuncture, massage, Emotional Freedom Technique (EFT), and the list goes on. 2. 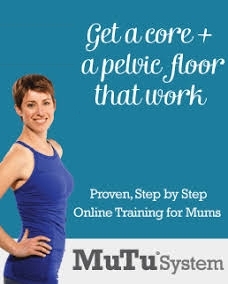 Women: Get your bodies ready well before pregnancy! Do an elimination diet/food trials well before you even think about conceiving, so that you are well aware of how your body reacts to food. Then act on that and get the best nutrition you can, while getting rid of all the stuff your body doesn’t like. It may not let you avoid morning sickness altogether, but at least you know your body won’t be fighting itself because of the food you’re managing to get in. Keeping a detailed food diary along with any and all symptoms you experience (even if you don’t think they have anything to do with food) is extremely helpful. I just used a simple notebook to track what I ate, physical symptoms such as heartburn, and my emotions and moods. 3. Find a caregiver you trust, and talk with them and your spouse A LOT about the different ways postnatal mood disorders can manifest themselves. Unfortunately, our media presents postnatal mood disorders one of two ways: a “crazy” woman who kills her kids and herself; or a very sad woman who cries all day long and won’t get out of bed. As a result, most people don’t realize that there are many different types of postnatal mood disorders, as well as antenatal mood disorders. If you educate yourself AND your partner (and family, and anyone else who is around you a lot) during pregnancy, then you can all watch out for anything that seems off after the baby arrives. More than likely, you, as the mother, will not be able to see when something is going wrong. Or you will, but you may be unwilling or unable to speak up and articulate what you are going through. It’s good to have people watching out for you who can help when you’re not able to help yourself. IMPORTANT NOTE: aside from Kelly Brogan, most of these are very "typical" medical sites - meaning that they still all kind of subscribe to the old-school ideas of how to "cure" perinatal mood disorders (very heavy on drugs). BUT, they are good resources for the mental side of it and how to identify perinatal mood disorders. 4. A Paleo diet is not magic. (Amanda says AMEN, SISTA!) It is not a cure-all. It will not fix all of your problems. But, (and this is a big but), it can be the catalyst that can help you change. For me, changing my food brings me about 70% of the way there. It makes me feel well enough physically that I have the energy and drive to fix the other things in my life that aren’t working and are making me feel bad – making it possible for me to go to therapy, go to bed earlier, exercise, practice EFT, and reach out more to people in order to stop feeling so isolated. 5. Forgive yourself. I will probably struggle with this for a long time – it breaks my heart and physically hurts me to know that I cannot ever get that time back with my kids. I can’t ever erase that sad time for them. But I can do my best going forward. One thing that we can all do to help women and families that are dealing with postnatal and antenatal mood disorders is to TALK ABOUT IT. With anybody that will listen. The stigma that is still attached to these disorders is heartbreaking, because it stops a lot of women from getting help they need. Share your experience and what helped you with your doctor, your midwife, your friends, your family, and your neighbors. Share it with strangers on the internet. Share it with a heart full of love and without judging other’s paths. You never know who might hear you, who might have been too scared to come forward on their own to ask for help. I hope my story can help women and their families that are in the trenches dealing with a perinatal mood disorder to see that they do have options, and that there is light at the end of the tunnel. Postpartum depression is scary, but we can heal. Sign up with your email address to receive updates, recipes, health articles, and special offers! I hate spam as much as you do! Your email address is protected.